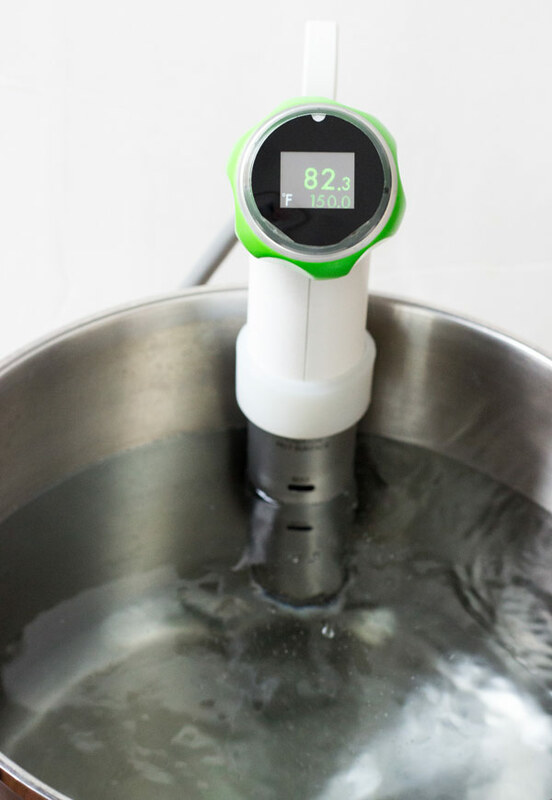 Have you heard of cooking sous vide? Imagine if you could never overcook a steak again. Or better yet, if you could cook 10 steaks to the exact same temperature at the same time. Or, if you could poach a piece of fish without fail. 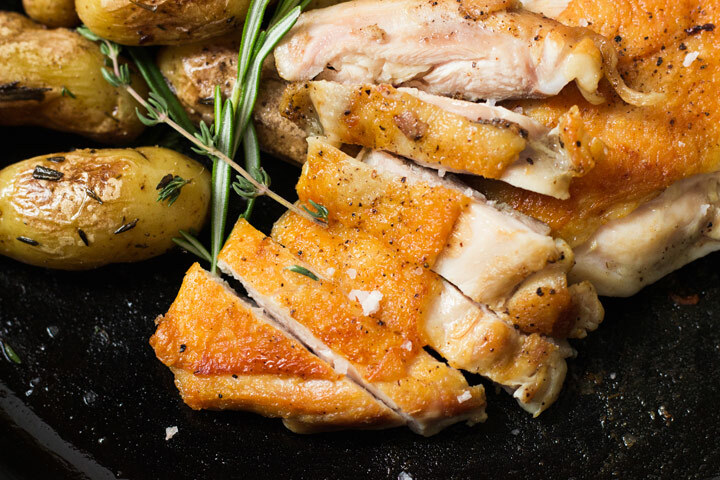 Or, as we’re doing here, if you could make the best, crispiest piece of chicken for dinner tonight…and still have crispy chicken leftovers later in the week. All of this is made possible by sous vide cooking. Literally translated to “under vacuum,” sous vide cooking is a method of cooking an item (meat, fish, vegetables, pretty much anything!) in a vacuum-sealed pouch, submerged in a water bath (fancy term for bucket of water) that is controlled to a certain temperature. Often, this happens for an extended period of time (36 hour short ribs, anyone?) That way, a few things happen. First, the item inside the pouch can be infused with whatever flavorings you add to it. And second, the temperature of the pouch can only go as high as the temperature of the water. It’ll heat up until it reaches that temperature…and it’ll stay there until you take it out. No more, no less. Here’s an example: let’s say you want to cook a medium rare steak, which would be around 130 – 135 F. All you have to do is set the water temperature to 130 F, drop in a steak (vacuum sealed in a bag), and let it go for about an hour. The steak will cook to 130 F and stay there. You literally cannot overcook it, even if you leave it there for 2, 3, even 8 hours. Edge to edge, it’ll be perfectly pink. Since you don’t get any browning from cooking sous vide, a quick sear in a pan gives you a browned crust. Until recently, sous vide cooking has been hard to do at home since the equipment was bulky and expensive. 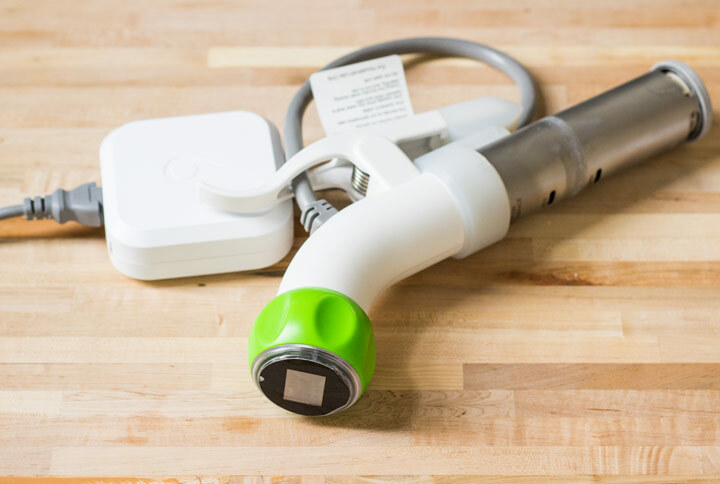 But recently, a wave of new products has hit the market, including one of our favorites, the Nomiku immersion circulator (immersion because it goes in the water, circulator because it heats and moves the water around). It’s sleek, it’s intuitive, and (on the scale of sous vide machines), it’s on the affordable end, ringing it at about $300. We originally heard about Nomiku last year through their Kickstarter campaign and were so excited when it actually hit the market. If you have one of these, a big stockpot (or even a bucket), and some zip-top bags, you can cook sous vide at home. We’re not going to lie – the Nomiku looks kind of like a clip-on hair straightener but once you put it to work, you’ll see why. Just clip it onto the side of a pot and plug it in. There are no buttons (the face is a touchscreen) so just tap, turn the green knob to set the temperature, and go. That’s it, easy peasy. And since no food is actually touching the water, the only clean-up that’s required is a quick towel-dry. 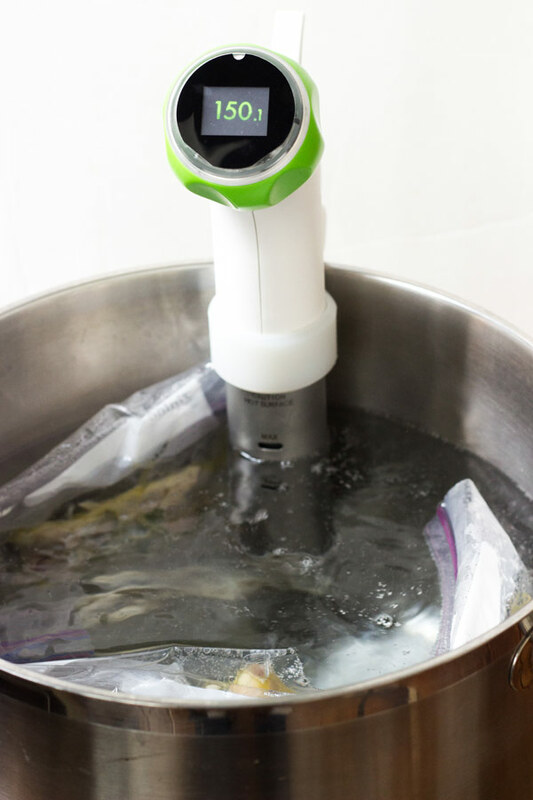 One of our favorite things about cooking sous vide isn’t just the fact that it scratches our foodie nerd itch, but it’s actually extremely practical when trying to cook for our families. 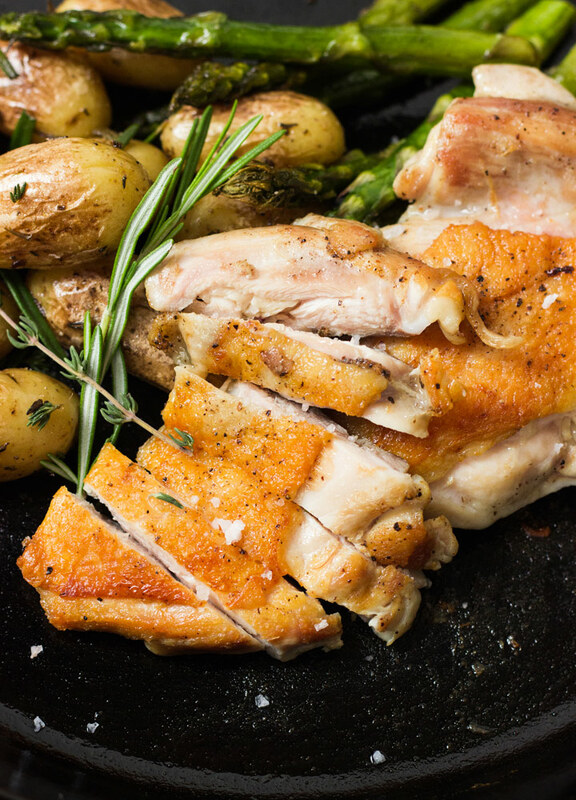 You can cook a bunch of pieces of chicken or steak at one time (as many as can fit in the pot!) and keep them in the fridge until you’re ready to eat. Then, just pull them out, dry them off, and sear in a hot pan for a few minutes on either side. You’ve heard of 30 minute meals…these are 6 minute meals (if that). Also, you don’t need any kind of fancy vacuum sealer to cook sous vide. Using a high-quality zip top bag and a bowl of water, you can “vacuum seal” anything easily (see below on how to do this). 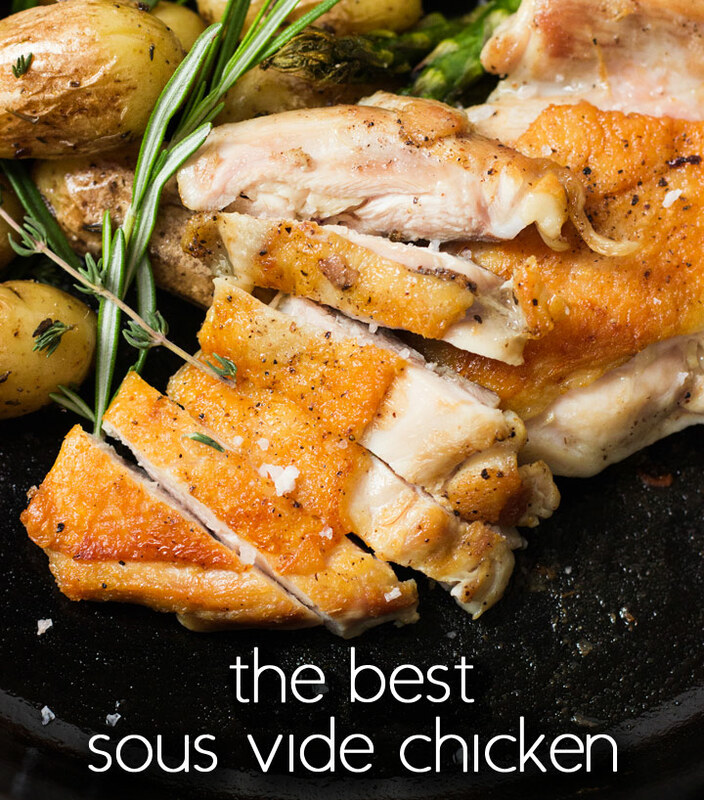 If this hasn’t convinced you that sous vide may just be the next best thing since sliced bread, then we don’t know what will. And we’re going to help you give it a shot! 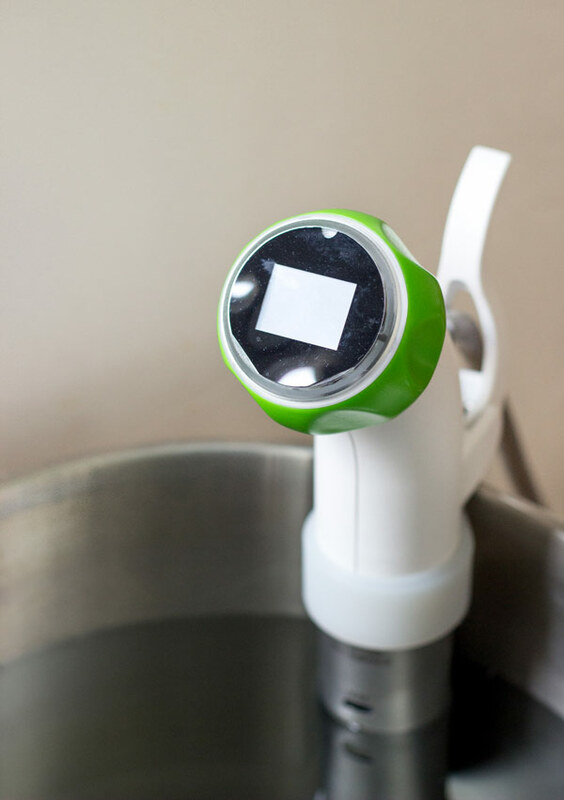 One lucky reader (U.S. entrants only please) will win their very own Nomiku immersion circulator. These things are brand new and retail for $300 so we’re very excited to have the opportunity to give one away to you! Enter using the widget below. Clip the Nomiku onto the side of a large stockpot and fill with water until it reaches between the Min and Max line. Tap the screen to turn it on then rotate the green dial until the number on the bottom reads 150.0 F. The number on top is the current temperature. Allow to preheat. 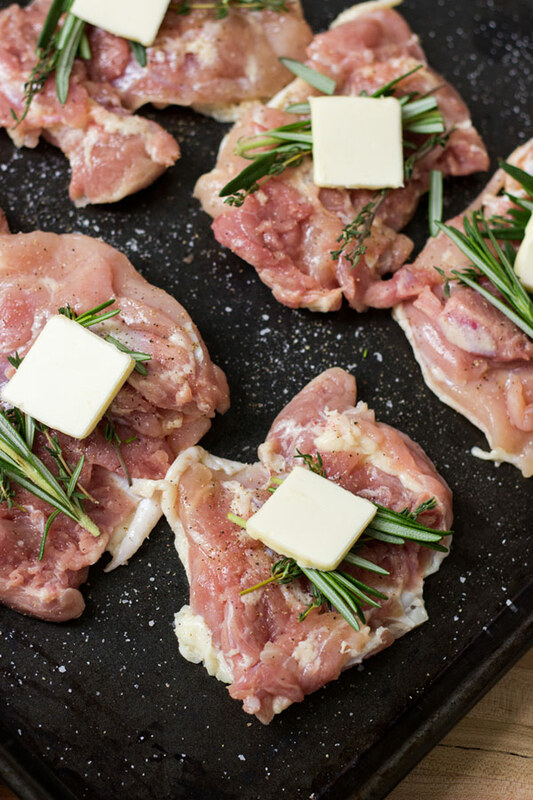 Wash and thoroughly dry boneless, skin-on chicken thighs. If you can only find thighs with the bone-in, here’s a video showing you how to easily de-bone it. Season both sides with salt and pepper. On the skinless side, place a few sprigs of your favorite herbs (here we used thyme and rosemary) along with a small pad of butter. 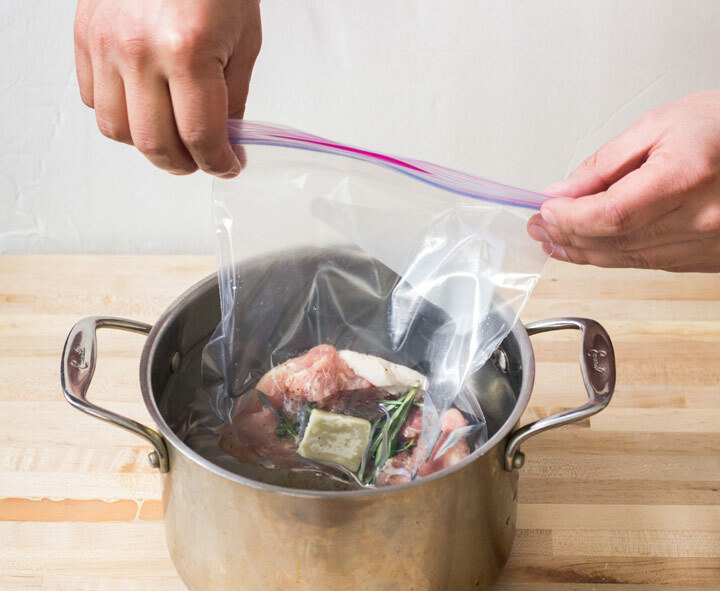 Place one chicken thigh into a quart-sized (or larger) high-quality zip-top bag. We like to roll back the top so the zipper doesn’t get chicken-y. Repeat for the rest of the thighs. If you’re using a larger bag, you can put more than one thigh, as long as they are side-by-side and not on top of each other. Now we have to get all of the air out of the bags and seal them up. Fill another pot with cold water and, with the top of the bag still open, submerge the bottom of the bag into the water. This is known as the water displacement method. Keep pushing the bag into the water, allowing the water to press the air out. Once you get to the zipper, seal the bag tightly. Need more help? Nomiku has a video on how to do this here. Drop all of the bags into the preheated pot and let them go for 1.5 hours. Remember, even if you forget about it for another 30 minutes (or longer), the chicken literally cannot overcook. Make sure that all the bags are submerged under water. If they arent, just repeat the water displacement method above to ensure all the air is out. 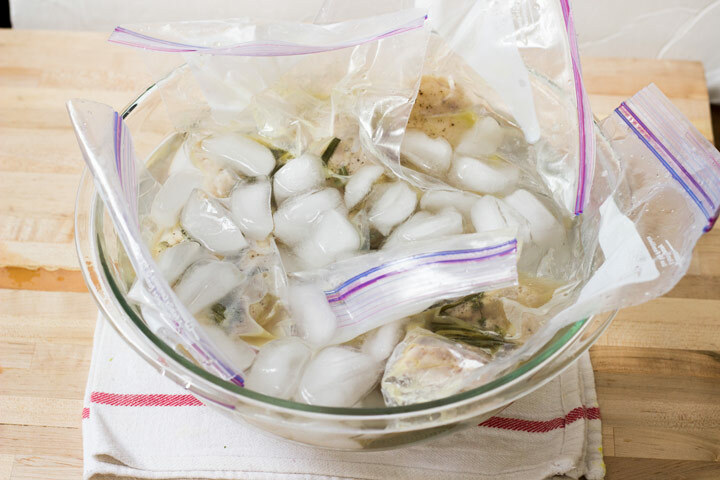 Just like blanching vegetables, remove the bags from the water and dunk them into a bowl filled with ice water. Chill for 10-15 minutes until cooled. This step is optional, but we like the results when you do it. 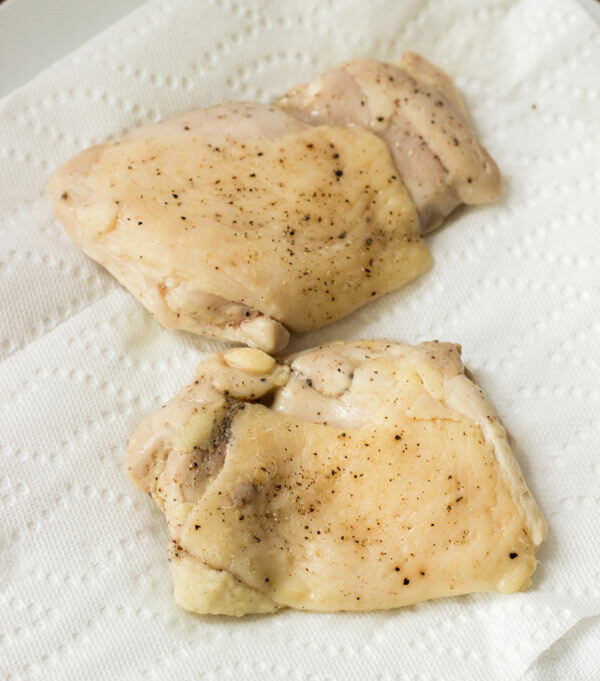 Place the bags of chicken, skin side down, on a baking sheet. 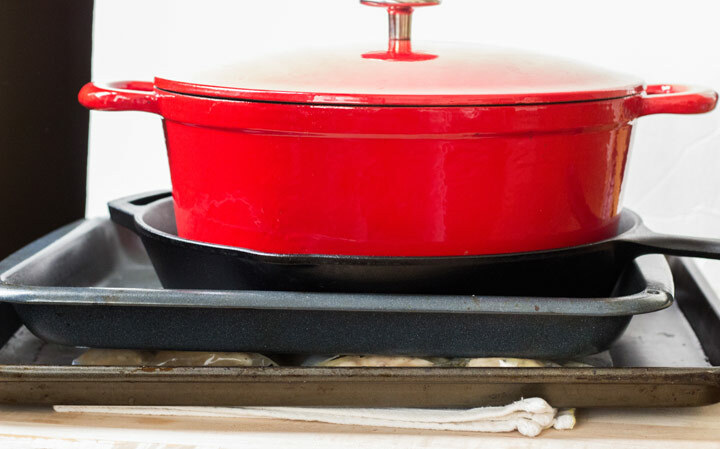 Place another baking sheet on top, weigh down with a cast iron pan or heavy cans, and allow to sit for 30 minutes. This helps get a flatter skin that will crisp up beautifully. If you’re going to eat the chicken later in the week, simply transfer the bags to the fridge after this step. When you’re ready to eat, remove the chicken from the bag and dry it thoroughly. It may not look the most appealing now, but just wait. 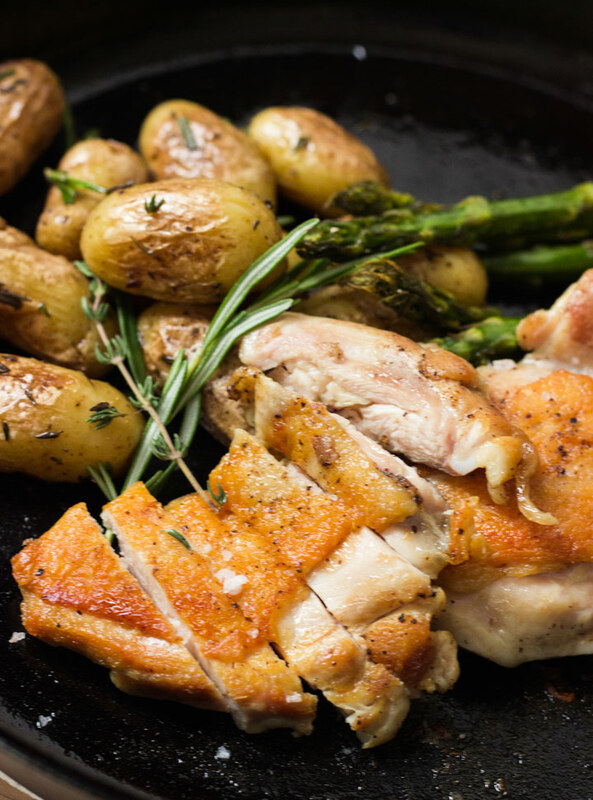 Preheat a pan (we like cast iron) over medium high heat, add a few tablespoons of oil, and sear the chicken skin-side down for 2-3 minutes until golden and crispy. Turn and cook for another 2-3 minutes. Slice, sprinkle with a touch of salt, and serve with roasted potatoes, and asparagus. Let’s get a close-up on the skin. It’s shatteringly crispy, perfectly browned on over, and the meat is still perfectly cooked. Since we just slightly undercooked it (though it was still safe) with the Nomiku, the extra heat from the pan not only heated the meat back up, but also brought it to just the right temperature. The pressing helps compress the meat so it tastes…well, more meaty. On the side, I quickly roasted some fingerling potatoes with oregano and rosemary and tossed some asparagus in the oven as well. Dinner tonight and, thankfully, dinner later this week as well. 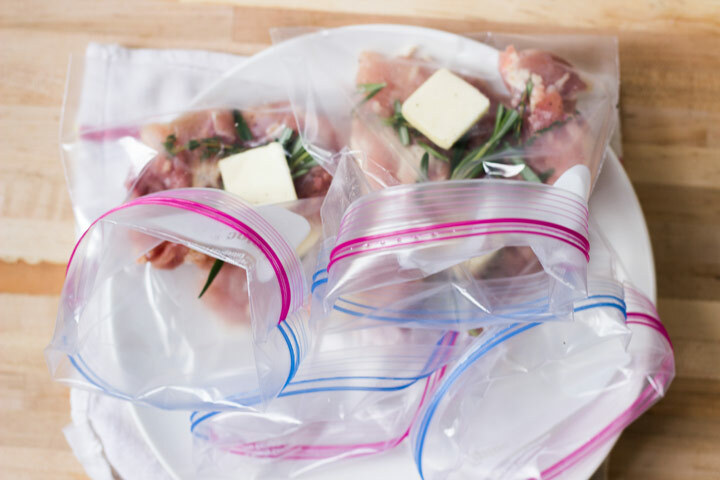 I love to cook sous vide but I have to warn you about using a zip lock bag–everything I have ever read warns against using zip locks, they aren’t supposed to be for cooking even at a low temperature. 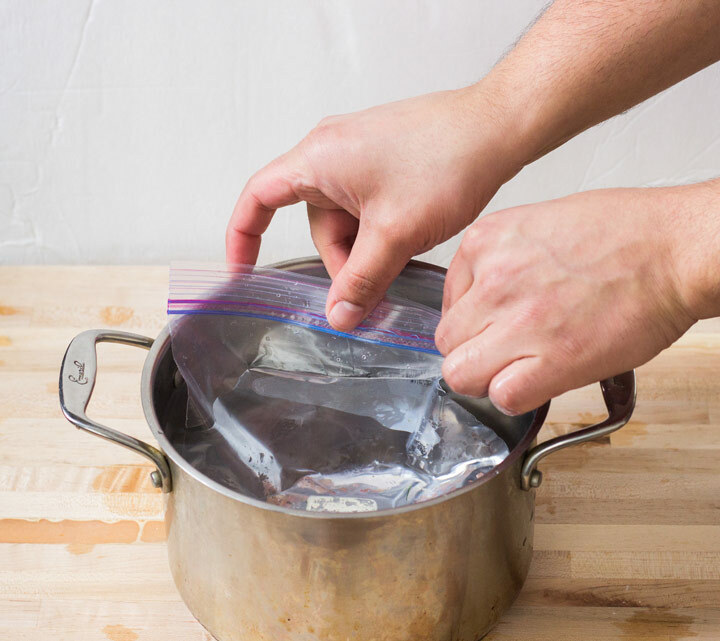 Use a food saver vacuum sealed bag for cooking. It is pretty standard for Sous Vide. It is very widely used. Longer-term it is recommended to use a food saver bag, but for shorter cooks, Ziplock bags rarely have problems. Yep Most food safe/freezer safe zip seal bags are tested for heats above sous vide (tested even for mircowave heats). A nice alternative as well are silicone resuable bags. I did this method last night, turned out great. And by longer cooks, I was more talking 24+ hours. I have read that Ziplock bags have a higher instance of splitting over very extended cooks. Can definitely happen! In those cases, yep, a vacuum sealer would come in handy Glad it turned out well! looks awesome, i am a big fan on the sous vide and am pretty happy with my nomiku, i read some reviews on thebestsousvide.com and went with it… like the fact that it heats up pretty quickly..
the recipe looks good… am new to sous vide been wanting to get my own equipment went to this website http//:www.thebestsousvide.com it gave me some idea. As you are using sous vide any suggestions on which i should get? We have been using the sous vide method for years. We use a Food Saver vacuum sealer, which also allows you to easily throw things right into the sous vide bath from the freezer. We use the Inova cooker, which sells for under $200, but the one recommended here looks smaller. The best thing to sous vide is veal chops. Never have a dried out over cooked veal chop again. You are spending so much for them, let them taste great. I live in Belize, and the beef here is close to leather. The beef has no marbling so it is very tough. I bought a souldber roast and sous vide it for 42 hours. I could cut it with a fork. Love that sous vide. I’d like to print your recipe, but the ads print, too. Do you have a printable copy sans ads?